Since we have been trying to make more healthy decisions in our day to lives, I have been trying to cut back on the creamer I put into my coffee. I do buy sugar free, but I really need to kick it to the curb. I'm having difficulties doing this. So I started researching and have found that tea is the way to go. Here are some of the health benefits of tea that I have discovered in my research. Fight Free Radicals. All teas from the camellia sinensis plant are rich in antioxidants known as polyphenols, specifically catechins. Catechins are the key to tea's health benefits - they detoxify cell-damaging free radicals in the body. Although our bodies are designed to fight free radicals on their own - it never hurts to have a little extra help. Boost Metabolism. Different studies have shown that tea drinking can help maintain a healthy weight and boost metabolism. Green and oolong teas contain polyphenols that help block fat-building enzymes. Another study showed that compared to non-tea drinkers, regular tea drinkers had lower body mass indexes, waist-to-hip rations, as well as less body fat. Reduce Stress Levels. Black tea has been found to reduce levels of stress hormones and help lower blood pressure. It has also been found to neutralize the negative effects of high-fat meals on arterial blood flow. Improved Bone Strength. Particularly in the wake of osteoporosis, the polyphenols in tea have been found to improve bone equality and strength. Studies have found that tea drinkers aged 50 and older were 30% less likely to have a hip fracture than non-drinkers. Heighten Mental Awareness. Drinking tea has been found to facilitate better focus on tasks and improve attention. 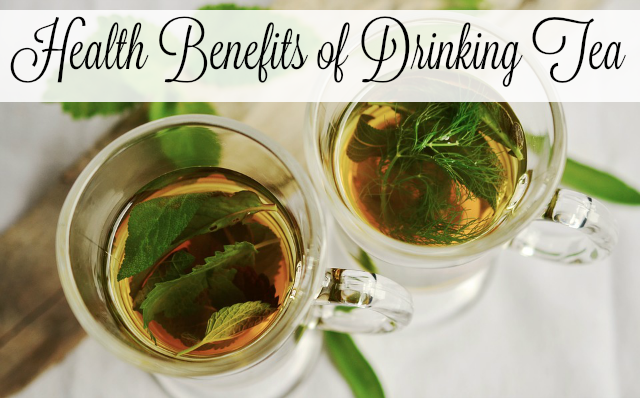 The caffeine and amino acid theanine in tea is thought to bring psychological benefits to drinkers, strengthening their mood, attention, and performance. I have been enjoying Teasia Variety Packs for a few days now. What I love is that they are compatible with my Keurig 2.0 which is perfectly convenient. I'm from the south where we brew our sugar right into our tea, so getting use to these teas was a bit of a learning curve for me. I had to go into it thinking they weren't tea almost because I was so use to basically drinking sugar. I'm happy with them and how I feel. The energy is definitely a nice change. My favorite part about buying from is that for every Teasia box you purchase, a portion of the proceeds will be donated to support charities in the areas of environment, education, healthcare, and poverty. Entry is simple, just follow the prompts on the Rafflecopter below. Open US only, must be 18+ to enter. Winner chosen via Random.org through Rafflecopter. All winning entries are verified. Please follow us on Facebook to stay up to date with our current giveaways. Good luck! Grand Prize: One (1) Starter Pack of Buttons Diapers Cloth Diapers - winner chooses the prints and sizes! About Button Diapers: Buttons cloth diapers were born at home. As a husband and wife team, we designed our diapers to be easy to use and affordable for everyone - the way it should be. We believe in keeping our lives simple, even when it comes to diapering. Our company began in Northwest Washington, but has moved to northern Idaho, where our family enjoys hiking, biking, and playing in the sunshine and snow! We run our business out of our barn that we renovated into our offices! Our diapers are CPSIA certified, which means they are safe for your baby and good for the environment. Our products are responsibly made in China. When you purchase Buttons Diapers, you are supporting a family business! Nanny to Mommy received complimentary products to provide this post. All opinions are my own. Facebook, Twitter, Pinterest and any other social media are not affiliated with this giveaway. Nanny to Mommy and participating "April Flowers" Giveaway Hop bloggers are not responsible for sponsors who do not fulfill prize obligations. This giveaway is open to US only, must be 18+ to enter. Cannot be shipped to P.O. boxes. One entry per household/IP address. No social media was involved in this giveaway in any way. Winner is chosen via Random.org through Rafflecopter. ALL winning entries ARE verified. Winner will have 48 hours to respond with all information in email or another winner will be chosen. If you would like to see your product featured on our blog or sponsor a giveaway event, please contact us. Thanks for letting me know. The Rafflecopter is working now. Sorry for any delay or confusion. Chamomile mint sounds so fabulous!! Im a huge chamomile fan!! I'm most interested in Roasted Oolong Tea. The Chamomile Mint Tea is one I would enjoy. I would love to try their Jasmine Green Tea first. Sounds delicious! I want to try the black tea. I would love to try the Lemongrass tea. It sounds refreshing! I'm excited for their black tea! I would love to try the black tea! Would love to try the Yasmine green tea! All of them sound great! I like mint flavored teas. So I would go with The Chamomile Mint Tea. I love tea! I haven't tried Lemongrass Tea so I would love to try it. I really want to taste their Jasmine, because that's my favorite tea flavor. I would love the Jasmine Green Tea. 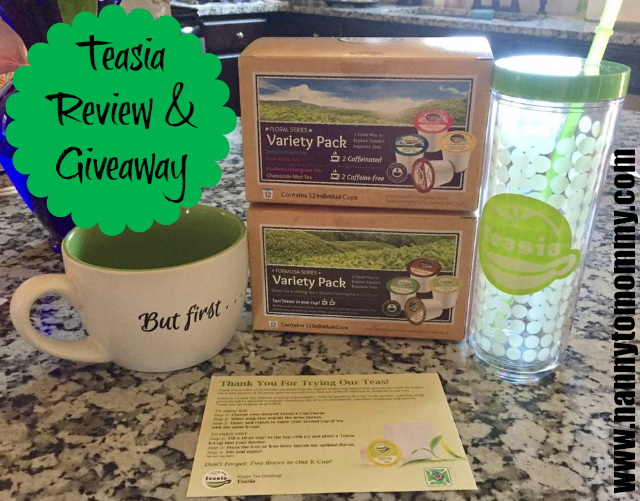 I'm excited to try the Black tea but I also would love to try the others,I'm a big tea fan! I would be really excited to try the Roasted Oolong Tea. That sounds different and healthy. I also am a big fan of black tea in the morning. I would like to try Lemongrass Tea. I have heard of it, but have never tried it!!! I am most interested in trying the Lemongrass tea. I have never had that flavor before. I would love to try the Rooibos Lemongrass Tea. I love any type of citrus, and think this would taste wonderful. I am most interested in the one that Reduce Stress Levels. I would like to try the variety pack so I can try all the flavors. I would definitely try the Rooibos Lemongrass Tea flavor first!